A kitchen sink clog can be a complete nuisance. It’s just nearly impossible to cook without a kitchen sink – and at the end of the day you’ll be left with a counter full of dirty dishes. There are many causes of a kitchen sink clog; but regardless of the issue, InSink Plumbing is the source of the solution. 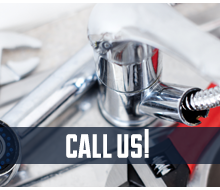 We tackle clogs and repair sinks throughout Illinois, and we provide our services to the following cities: Addison, Elmhurst, Carol Stream, Wheaton, Winfield, West Chicago, Lakewood, Wayne, Keeneyville, and Bloomingdale. Again, clogs can be caused by a variety of sources. If your sink is clogged, it can be caused by debris within the pipe, it can be caused by an item within your disposal (if you have a garbage disposal in your sink), or it can be caused by an issue further within the pipe. Most of the time, hair or old food particles simply accumulate within a sink. Occasionally, a rag can get caught in your disposal and cause a clog. And on some rare occasions, your entire sewer drainage system can back up. If the latter problem is the issue (take note that a sewage backup will be notable due to smell), get in touch with us right away. If your sink is leaking due to faulty fixtures, we can fix that too. A leaky faucet can drain your budget as your water bill flows in, and it simply wastes good, clean water. Let us take a look at leaky valves and faucets. Many sink repairs are simple, quick, and inexpensive fixes. Regardless of your sink’s issue – clogging, leaking, or otherwise – you can count on InSink plumbing to provide the solution. Get in touch with our plumbers today, and let us help you get that sink up and operating!